Although everyone seems to be having a ball with Donald Trump’s Magical Birth Certificate Mystery Tour®, the sheer volume of Birther mythology makes it tough for interviewers to hit every clay Birther pigeon Trump tosses into the air. To be fair, reporting on the birth certificate issue always seems to be missing one or two pieces, like a yard-sale Monopoly set. Hopefully, this handy guide will remedy that situation, and help The Donald’s next Birther interview go straight to truth-jail. Do not pass “Go,” do not collect the nomination. As Birthers go, Donald Trump is actually only a mediocre specimen. My friend Les Kinsolving could run circles around him with the kind of deep-dish Birtherism that would even make Orly Taitz roll her eyes. For the sake of time and sanity, though, I’ll confine this to the points that Trump raises. The next time someone interviews Trump, I expect them to knock this Birther thing out right quick, and see if they can get The Donald to produce his Gaddafi charity receipt. So far, his office has declined to do so. Why Doesn’t President Obama Release His Long-Form Birth Certificate? I’m going to start here, because this is the piece of the puzzle that nagged at me for a long time. 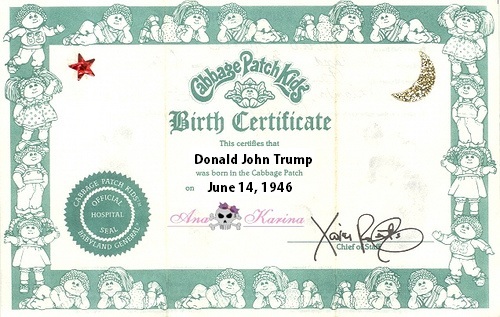 For the uninitiated, much of the Birther conspiracy centers around the Obama campaign’s release of a Certification of Live Birth (COLB) to prove his eligibility for the office of the presidency, rather than an original “long-form” birth certificate. The COLB is the equivalent of the certified copy I use whenever I need a birth certificate, or whenever anyone else does the same. Nobody carries around their “original” birth certificate (although, according to Stephen Wright, George Washington carried around a dollar bill for this purpose). State Attorney General David Louie told the governor that privacy laws bar him from disclosing an individual’s birth documentation without the person’s consent, Abercrombie spokeswoman Donalyn Dela Cruz said Friday. “It’s a Department of Health record and it can’t be released to anybody,” he said. Nor do state laws have any provision that authorizes such records to be photocopied, Wisch said. If Obama wanted to personally visit the state health department, he would be permitted to inspect his birth record, Wisch said. They can’t both be true, right? Well, they kind of are. According to the Hawaii state law in question, Hawaii Revised Statutes §338-18(b), only those who meet the specific criteria of having a “direct and tangible interest” may “inspect” or have a “certified copy” issued to them. Now, “direct and tangible interest” isn’t something you get to argue about. You’re either on the list, or you’re not. The list consists mainly of those with particular legal relationships with Obama, or those with a court order. To protect the integrity of vital statistics records, to ensure their proper use, and to ensure the efficient and proper administration of the vital statistics system, it shall be unlawful for any person to permit inspection of, or to disclose information contained in vital statistics records, or to copy or issue a copy of all or part of any such record, except as authorized by this part or by rules adopted by the department of health. That means only disclosures specified by law are permitted under any circumstances, and photographing or copying an original record is not listed anywhere, either with or without a “direct and tangible interest,” or a court order. 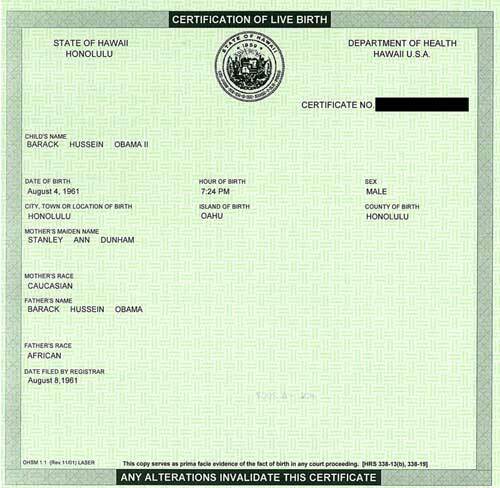 Unless Eric Cantor changes the law, a photograph or photocopy of Barack Obama’s original birth certificate is not permitted under any circumstances. Barack Obama himself couldn’t release a photograph of the original record. This is only true in the most literal, semantic sense, i.e the words “Certificate of Live Birth” and “Birth Certificate” are not the same. Legally and lingually, a COLB is a birth certificate, “a copy of an official record of a person’s date and place of birth and parentage.” It is the thing that every American brings to the DMV to get a driver’s license, or to the Justice of the Peace to get married, or any other purpose for which a birth certificate is required. This is an important distinction to understand, because it goes to the motivation behind the original Birther smear. As the Obama campaign explained to FactCheck.org, they initially redacted the number out of an abundance of caution. “[We] couldn’t get someone on the phone in Hawaii to tell us whether the number represented some secret information, and we erred on the side of blacking it out. Since then we’ve found out it’s pretty irrelevant for the outside world,” said Obama campaign spokeswoman Shauna Daly. 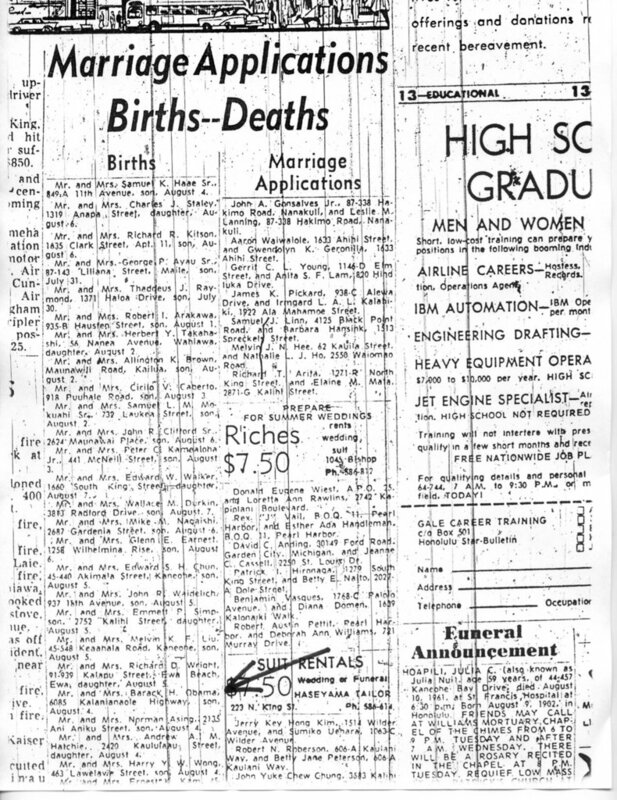 That serial number (151 1961–010641) is more bad news for the Birthers, as it hews closely (only a few digits off) from the certificates of a pair of twins born the next day, at the same hospital. Before you even start, I know what you’re thinking: how’d that lady get a copy of the twins’ birth certificate? 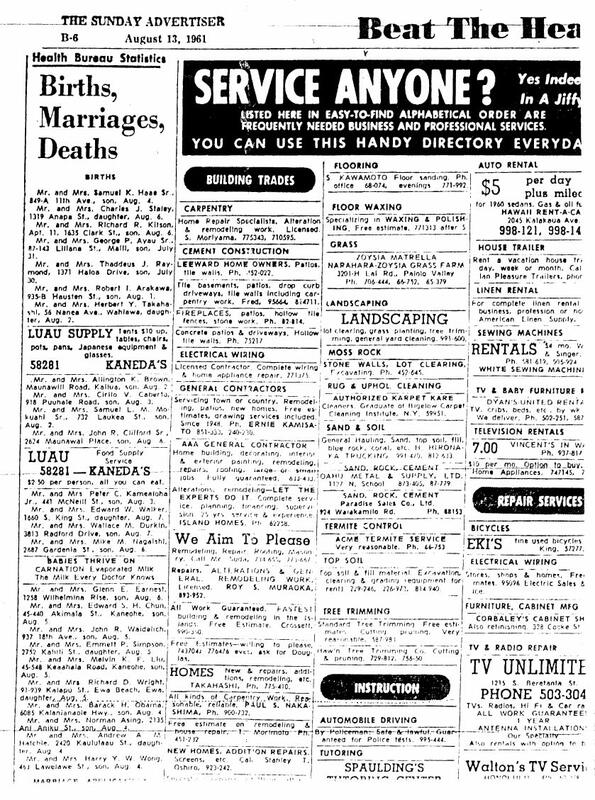 She obtained that copy on May 5, 1966, before Hawaii switched to a digital system for certified copies. Trump actually does concede that he has seen one “on television” that had a stamp, but no signature. That one he saw on TeeVee is the same as the one he saw without the signature, because the signature is on the back. Trump is correct in noting that it is a stamp, but in combination with the raised seal, it carries the legal weight of an original signature. As a tremendously successful businessman, Trump must be aware of this. Surely, he doesn’t sign all of those paychecks by hand? The basis for this claim is the amount of money the Obama campaign paid to the law firm Perkins Coie to, among other things, defend then-Senator Obama’s eligibility for the presidency against an endless series of lawsuits (interestingly, very similar to the rationale Sarah Palin gave for her resignation as Alaska Governor). If defending yourself when someone sues you is a sinister act, then Trump has a lot of explaining to do. She never says Obama was born in Kenya, and in fact, only ever says he was born in Hawaii, even though McRae tries really hard to get her to say he was born in Kenya. 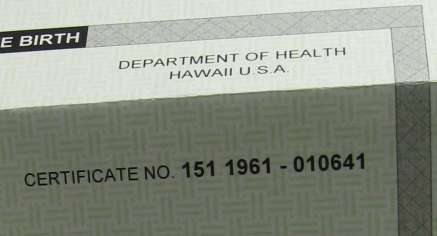 As Crowley pointed out, birth announcements aren’t submitted to the papers by the general public, “but by the Health Department, which received the information directly from hospitals,” according to The Honolulu Advertiser. Trump also makes a big deal out of the eight day interval between Obama’s birth and the publication of these announcements. I guess he didn’t notice that all of the birth announcements in these papers were from the same couple of days, Aug. 4 and 5. Was the entire state comprised of Kenyan birth-fakers? It’s easy to forget how things worked back in the days before email, faxes, and other series’ of tubes, but back then, things took awhile. It’s very likely, in fact, that these announcements were reported and published on a weekly basis, and had to meet a long deadline for publication. Trump only hinted at this, saying maybe “there’s something on it that he doesn’t want people to see,” but this particular theory combines birtherism with another popular wingnut smear of President Obama. 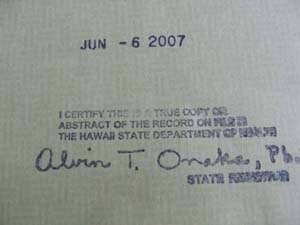 Unfortunately, neither Hawaii’s long form, nor short form, birth certificates contain religious information. Unless the birth certificate features Obama’s bowling average, I don’t know what Trump’s talking about. Really, Mr. Trump? Because you sure could have fooled me.